Topwater Action On Lake Texoma. Saturday, September 15, 2001. Lake level: 613.87. Water Temperature: 79 degrees. Water clarity: Clear. Generation: 7:00pm to 10pm. Weather: low 65 / high 80 / cloudy /rain/light wind. 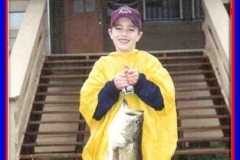 Fishing time: 6:30 a.m. till 9:30 a.m. The Post Properties employees left the dock at daylight with Captains Joe, Doug, Mike, Kraig, Rex, Mitch and Sparky for a successful morning of striper fishing. 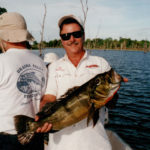 Casting into six inches to twenty-four inches of water with weighted bobbers with live bait inches under the bobber produced 196 silversides. A lot of the fish are over twenty inches long and a lot of them are too small to keep and have to be returned to the lake. 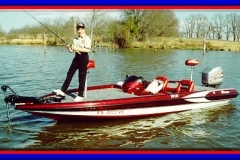 When you see one fish break the water real close to the bank, stop and anchor or use your trolling motor to hold the boat off the bank. Cast your bait right up against the bank and begin your retrieve. 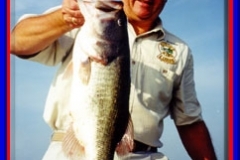 You will be surprised to find out you can catch a limit on one stop. Most of the boats had a limit before 9:30am. It began to rain and all the boats headed for the boathouse where pictures were taken and the fish were cleaned for a fish fry at the PVES community center. Everyone had plenty to eat and most had fillets to take home. 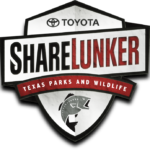 If you ever wanted to topwater fish, now is the time to come to Lake Texoma and enjoy the action. We have gotten over four and a half inches of rain this month. 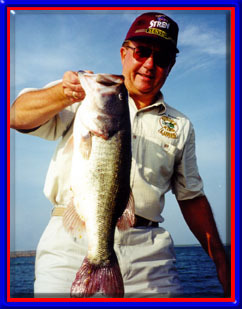 As the surface water cools down and the lake is on the rise, the lunkers will start feeding and gain weight fast. Warning!!! Be careful!!! The lake is coming up, but it is still very low. Watch for the shallow points and floating logs and save a lower unit. 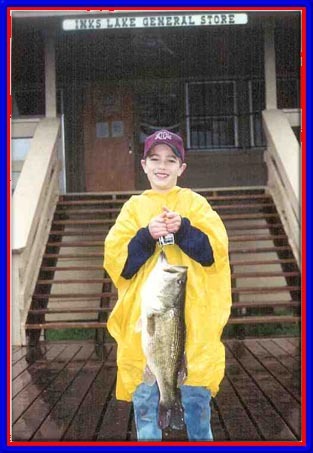 Report submitted by: Tinkerâ€™s Striper Guide Service, http://www.tinker.net To see pictures go to: http://www.tinker.net/fishpics15.html Bass are good up to 5 lbs. 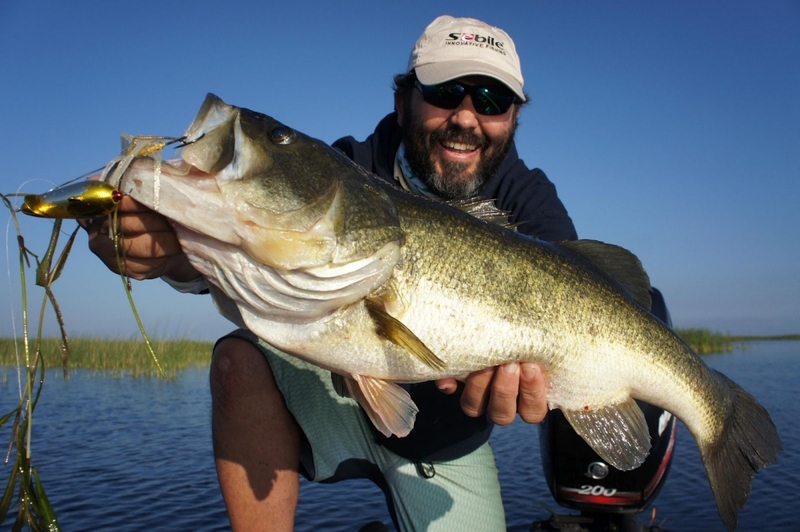 Try fishing shallow early with buzz baits or topwaters. 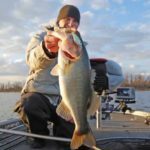 White jigs fished around brush piles and docks taking fish as well as worms and soft plastics. 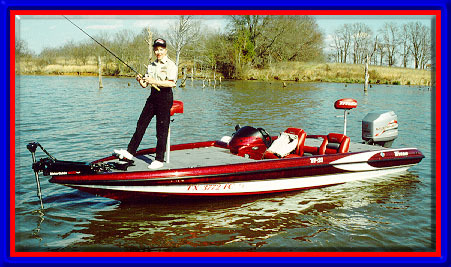 Crappie are fair in baited stalls and over brush piles. 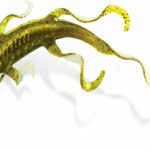 Catfish good on live and prepared baits around cleaning stations and deeper points. Report submitted by professional guide J. B. Webb. To be removed from Report List, reply with remove in the subject line.